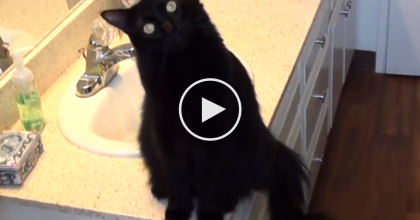 Cat Discovers His Own Tail, But Watch His Reaction… OMG, Now I Can’t Stop Laughing, Hilarious!! This funny kitty was grooming himself when all of a sudden he notices some very mysterious fluffy toy waiving in the sky, it ends up being his own tail! How he reacts is enough to make anyone laugh, LOL!! 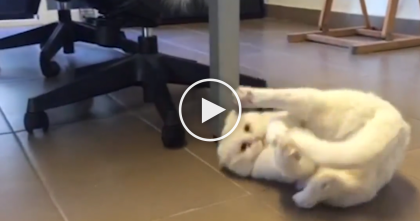 This funny kitty doesn’t doesn’t need anything to entertain himself, all he needs is his own tail and that’s about it! When someone sends us a video, we love to feature it and you’ll especially get a kick out of this one, trust me! 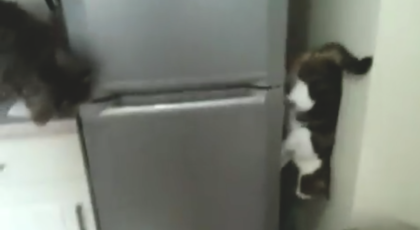 Cat greets human every day, doing weirdest trick behind the fridge, Now watch when he starts recording! 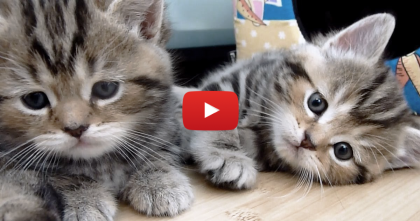 These Cats Give Us A Tour Of Their House, But You’ll Never Guess What They’re REALLY Thinking! 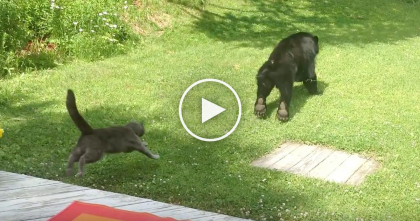 They Got The Kittens A ‘Kitty House’ But They Aren’t Sleeping In It… Just Watch!